Since moving into our condo over a year ago, we knew our kitchen faucet had water pressure issues. We weren't sure what the source of the problem was, but I finally had enough, AND, the faucet was downright ugly. Luckily, over Christmas we won a $25 gift card to The Home Depot in the family White Elephant gift exchange! 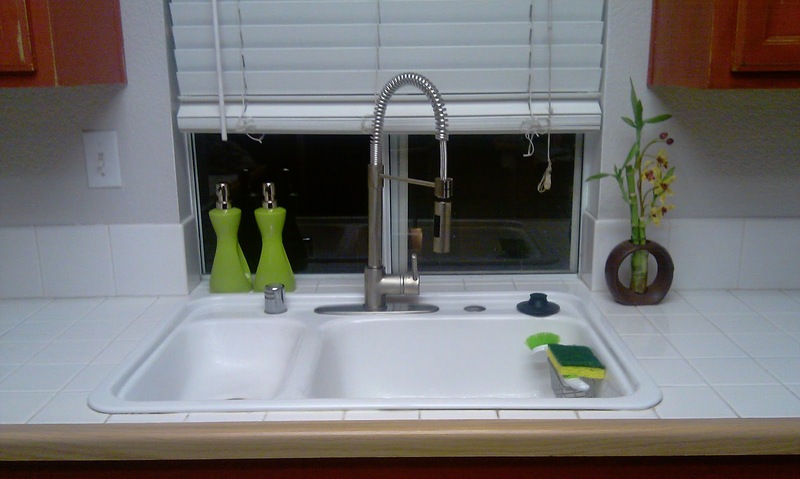 We decided to put it towards a shiny, new faucet. 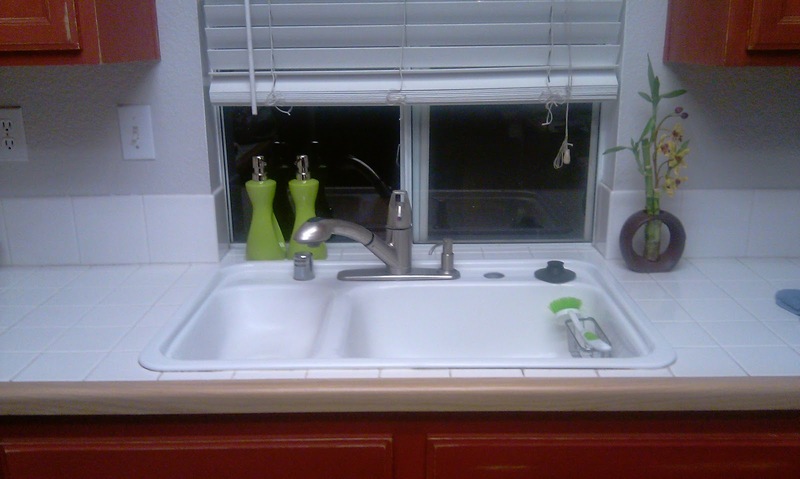 Before I get to the details, here's a look at the original freaking ugly kitchen faucet. I was on an online mission to find the perfect faucet on The Home Depot website and we opted for the Glacier Bay Series 400. The faucet is tall and dramatic and I love every inch of it! Thanks to my lovely husband for installing it in record time and to our delight, our water pressure issues are gone. We laughed and asked ourselves why we didn't change it a year ago! Here it is!